Everywhere you look people are using apps on their androids, IOs, online sites like Facebook. Think Instagram, the photo app or Farmville an app game with millions of players internationally and you can see just how successful an app can be. But did you know you can create your own? These app building tips will help you get started. • Use another app to make your app. There are a growing number of apps you can download or even use online on social networks. They take the hard work and heavier coding out of your hands. Some are even as easy as doing everything by drag and drop. Once you have chosen the app maker you’d like to use just follow directions to make your app. • Make sure you focus on both graphics and function equally. Graphics are often mistaken to be what makes the app and gives it a “wow” factor. The truth is if the app does not do the function it was designed for then all the cool graphics in the world won’t matter. By the same token an app that whizzes right through its purpose expertly will still fade after a while if it is boring to look at. • Use a flexible layout for your android app no matter if you are using an app maker or doing your own coding. Android screens come in different sizes so if you make your app to fit only one size of Android then you drastically cut down possible users because your app won’t work on their phone. By using “fill_parent” and “wrap_content” in your layout xml, your content will automatically stretch to fit bigger screens. • Androids rotate their screens when the device is tilted. You must adjust your coding to accommodate this feature. If you are running ProgressDialog and the screen rotates you will lose all the progress you have made creating your app to that point. By overriding onConfigurationChanged() you can stop this from happening. Your content and work stays put if the screen is rotated while working on the app. • Simplify your concept. Sure you have this great idea but for the first version of it keep it simple. You can add all the extras later once you become more knowledgeable about making IOs apps for iPhone. Besides users like getting updates because it makes them feel the app has become more valuable with each new bell or whistle. By keeping it simple and adding new concepts at later dates you keep your users satisfied and interested. • Make use of Open source. Open source is a collection of libraries and places where you can go to learn from other IOs developers. You can ask questions and get advice from those that have more experience. Sometimes they will even let you just copy and paste the code you need from their own apps onto your project free of charge. • When planning your app, look for a niche or several. For example, if designing an app for a restaurant many would only consider the only niche for it to be “food” But that kind of app also works well with “entertaining” and even “cooking games” if you’re a restaurant making a Facebook cooking game app. Basically the more niches your app fits into the larger the amount of possible users who will give it a try. • Facebook apps are fairly easy to make since Facebook has an online app maker. 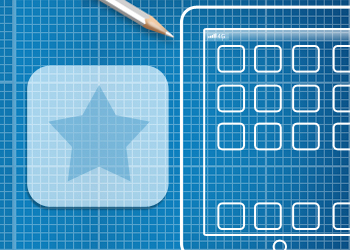 Take time to read all of the directions and tutorials for the type of app you want to do. There are tutorials for different platforms, for example Androids or webpages in the directions. Also familiarize yourself with Facebook terms such as “canvas page”. This page refers to the sides of the page where your app will be advertised. Spending time in preparation pays off in a better Facebook app making experience. This is a post by Jefferson Vergo. Jefferson is a freelance writer and an occasional blogger and a tech enthusiast currently working for www.clearwirelessinternetservice.net/. When he is not working he likes to travel and discover untouched places around the World.